Nepal is a hilly destination. A home to the world’s highest mountain (Mt. Everest) and seven of the ten other highest peaks in the world, Nepal has many hill stations to its credit. Such mighty peaks even render cool, calm, deep-rooted and strong influence on this eastern Himalayan country. Naturally, the peaks here narrate the glory of this destination and present its picturesque and lively side. Steeped in culture, traditions and Nepalese way of life, the hilly locations display a unique setting that is affable for vacationing. Alongside, tourists may find tea gardens, sightseeing stopovers, mountain echo points, sacred temples and short treks along gentle slopes of the serene mountains. 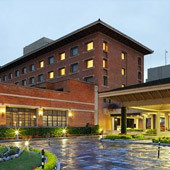 Owing to its topography, the location has many hill stations to its credit. Pokhara is the globally famous hill town of Nepal. It is famous for fascinating views of Machhapuchare – Fishtail mountain and Annapurna mountain. Tourists come to enjoy the scintillating scenery across the region and boating in the crystal clear Phewa Lake. 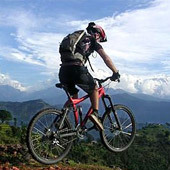 Enthusiasts who are keen on challenging treks can enjoy the adventure sports like trekking, mountain biking and paragliding here. Ilam in the Mahabharata range of Eastern Nepal is uniquely famous for its tea producing gardens and offers soothing stay, thanks to its natural scenery and landscapes. The location is also known for offering excellent views of Mt. Kanchenjunga (8,586 m), the third highest mountain in the world. Nagarkot (2195m), another top hill station located 32 km east of Kathmandu offers the most scenic experience in the country. Also, its close proximity to Kathmandu makes it a favourable site for excursion to be enjoyed during Kathmandu Tour. Here, the breathtaking views of sunrise await the travellers every morning. The destination also offers vantage point to view the iconic Mount Everest, other snow capped Himalayan peaks like Lhotse (8,516 m), Makalu (8,463 m), Cho Oyu (8,201 m) and Manaslu (8,163 m). 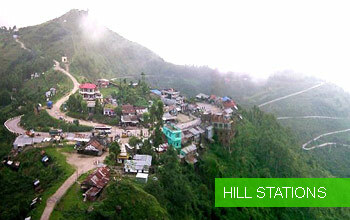 Along the hill station, views of the Indrawati river valley can also be enjoyed. 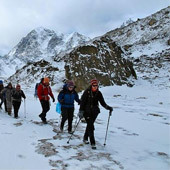 The site also is famous for short treks for those who want to experience the adventure without much exertion. Dhulikhel, the next prominent hill town is interspersed with heritage and nature. It is an authentic Newari town and has its own village square where Newari culture and wooden architecture can be seen in a remarkable way. Just 1 hr away from Kathmandu, Dhulikhel offers impressive views of the snowy central Himalayas. 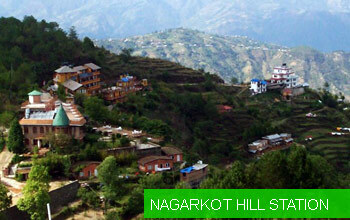 These are few of the popular hill stations visited by tourists mainly to observe the soft side of mountains. Also, the locations here throw challenges to the tourists and prepare them for the more exciting travel adventure Nepal is known for.